NEW DELHI: France got a Santa Claus in the form of Prime Minister Narendra Modi who bailed out two major loss making companies in one visit. Dassault Aviation got a new lease of life with PM Modi’s order for 36 ‘ready to fly’ Rafale fighter jets, and the French nuclear company Areva tottering amidst major losses and controversy on basic nuclear security got two major agreements to take the manufacture of the six EPR nuclear reactors at Jaitapur forward. The Prime Minister’s ‘Make in India’ has not done too well during his visit to France. One, the direct purchase of the fighter jets does not carry a whiff of indigenous production at the moment. And two, the agreements operationalising the nuclear deal with Areva come despite it being under scrutiny for using sub standard material in the European Pressurized Reactor being built at Flamanville (France). 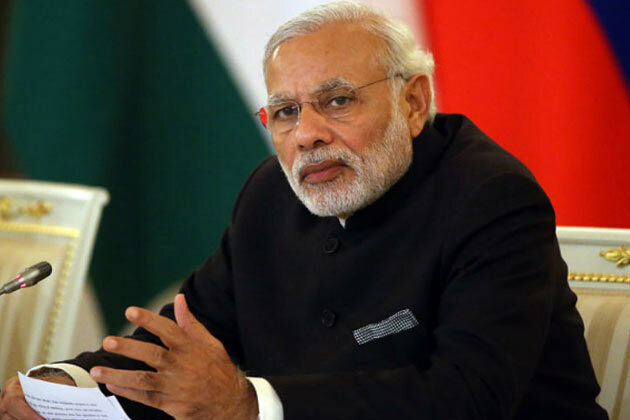 PM Modi chose to ignore warnings by nuclear experts and others in India against finalising the nuclear deal with Areva, just like his predecessor Manmohan Singh who had initiated the Memorandum of Understanding between Areva and the Nuclear Power Corporation of India Limited (NPCIL). A General Framework Agreement for the construction of the first two EPR reactors was signed in December 2010, despite warnings by nuclear experts in India advising against business with the French company with an increasingly dismal record. “Areva has run into losses of the order of US$5.6 billion during 2014. Its work on Finland’s Olkiluoto 3 nuclear reactors has caused significant time and cost over-runs. The project completion schedule has been extended several times, the latest being 2018, which implies more than 13 years for the project. The cost of the Finland reactors has already gone up by a mind boggling factor of 2.4. there is no guarantee that either the revised costs or the rescheduled completion schedule are final. “Areva declined to comment on whether the tests would lead to new delays for Flamanville and impact three other EPRs under construction, one in Olkiluoto, Finland, two in Taishan, China. As in the case of the US MNCs, the French reactor suppliers are apparently not confident of the safety features of their reactors and are therefore reluctant to assume responsibility for the liability arising from major accidents attributable to reactor design deficiencies. It is possible that France will also push India into owning liability in excess of the existing token liability cap provided in the civil liability law by agreeing to cover the same by issuing sovereign guarantees and asking the PSU insurance companies to bear a portion of it. This would indirectly amount to going beyond what the government had earlier assured the Parliament. Any dilution in the liability to be borne by the French companies will incentivise them to compromise on safety. Sarma reiterated the same concerns expressed by experts to former PM Manmohan Singh about the dangers inherent in this project for the people living in the vicinity. Singh ignored the warnings, with villagers coming out in large numbers to protest against the reactors that are now perceived as a major security hazard in and around Jaitapur in Maharashtra. PM Modi too is clearly not impressed with the caution voiced by concerned experts and has decided to follow Singh on the nuclear issue. Significantly, the French nuclear safety regulator ASN is not underestimating the issue and has reported serious defects in the European Pressurized Reactor being built at Flamanville (France) by Areva. The revelation vindicates long-standing safety concerns of independent nuclear experts and citizens’ groups especially in Finland and India where Areva is constructing or planning to build EPRs. The EPR’s design and construction have run into unending problems both in France and Finland, where the first such reactor has been under construction since 2005. Its completion has been delayed from 2009 at least till 2018, and its costs have nearly tripled. Areva has had a chequered history and has been incurring heavy losses. It was set up in 2001 but has little to its credit except a history of inordinate delays, and major financial losses. In 2014 Standard and Poor’s downgraded Areva long term debt making it even more difficult for it to raise money on the financial market with reports suggesting that the French government too is unwilling to increase the capital for this state owned concern. Areva announced on March 4 a loss of 4.8 billion euros in 2014 fiscal year and a decrease of 8% of its turnover. At a time when its business is being badly hit with low credibility, the Indian decision to move ahead with the MoU is a major credibility booster that Areva, like Dassault Aviation, hopes to use to revive sagging financial fortunes.